Our aim is to understand your business, without this we can not create a web site that will work for you. Once we are sure we understand your business we will then get down to the nitty-gritty of designing you a web site. All of our sites are built from the ground up. 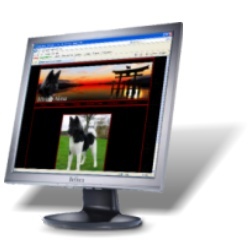 We do no use commercial templates or design software that creates a web site in a few mouse clicks. All of our ideas will have your approval before development progresses and you will be able to monitor development as we progress through a site development portal specific to you. At GPIMedia we treat each customer personally and aim to give you service second to none. We only ask you to complete payment when you are happy with the site, and will only usually ask for a minimal retainer. Your business is our business so it is equally important for both of us to be happy with the end result. For the customer that requires full control of their own site, but does not want to know how to program web pages we can provide dynamic sites. These sites are run from a database which the customer can update via a simple on-line form. Once the form is complete that information is immediately available on the web site. If, and where, necessary the forms can insert fresh pages into the correct section of the site and even automatically create links to the new pages. These sites are ideal for customers who have regularly changing information or who want full control of the content of the site. We create an initial outline site, the database and on-line forms and you the customer simply add, amend or delete the content in your own time or as you require. These sites are easy for you to manage and we are always available for help should their be any problems. For more details on this type of site please feel free to contact us via one of the means on the Enquiries page.